A sweet list soft-skirt Irish Dancing dress with cupcake ruffles in pink and crimson. 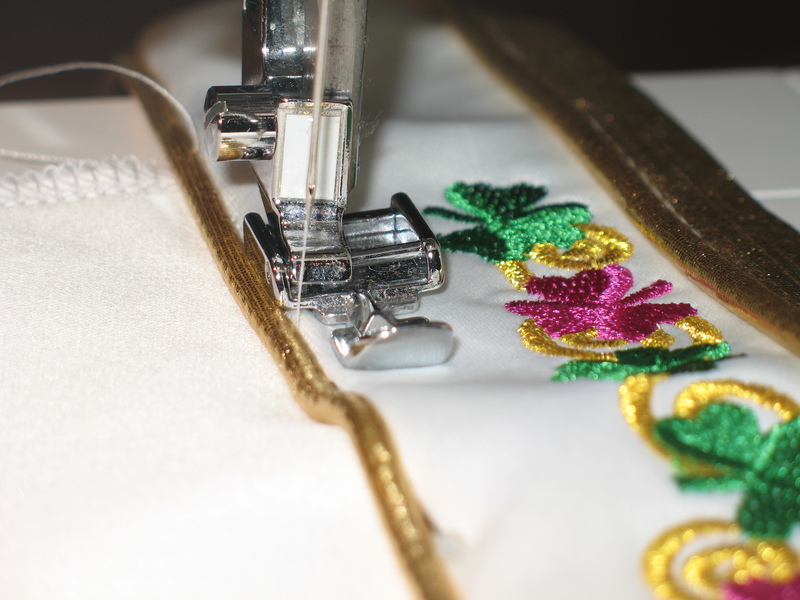 The bodice is gold and balck embroidered daisies. A lovely beginner’s dress with not too much bling. This dress was designed by the dancer and we worked together to transform her drawings into the this dress. I particularly like the crisp pleats and loved the idea of repeating them for the cape. 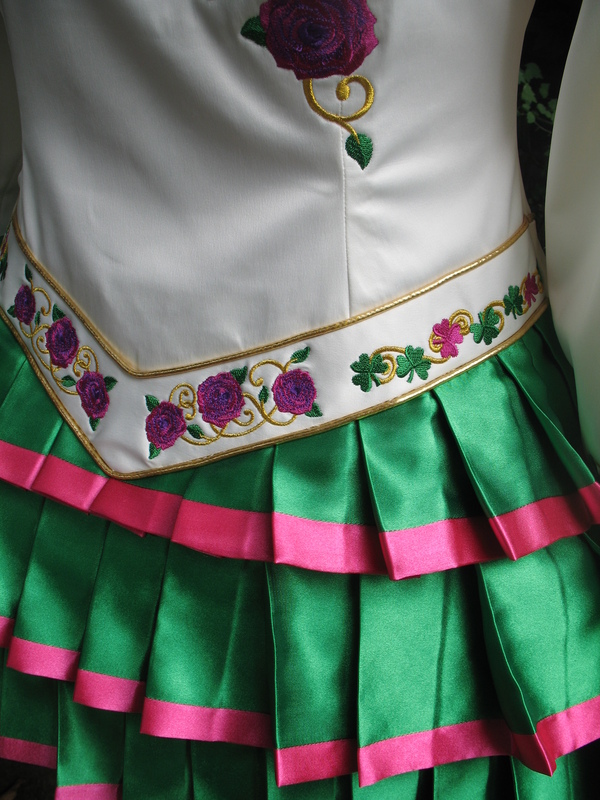 The skirt has a semi-rigid under-panel to give the skirt the proper “sit” for an Irish Dancing dress. 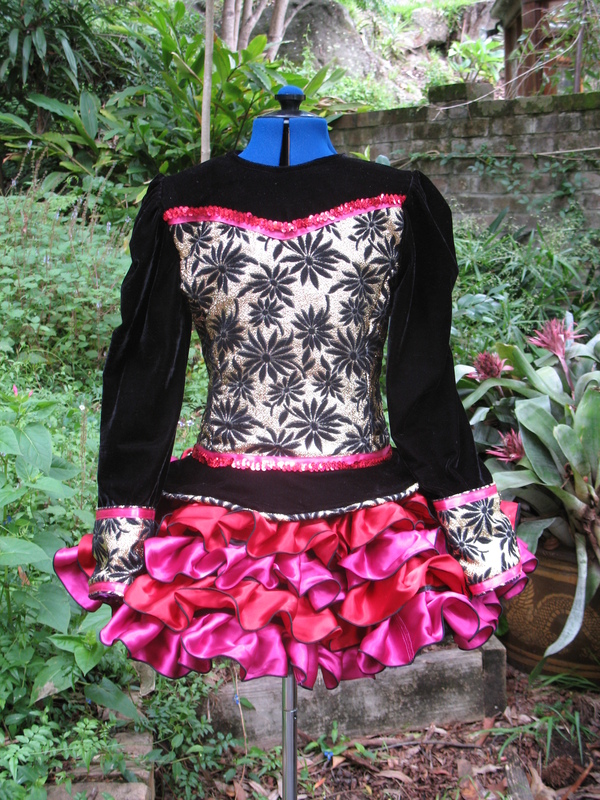 This is a simple little “first” Irish Dancing dress without embellishment for a preliminary dancer in the cupcake style that was popular a couple of years ago.